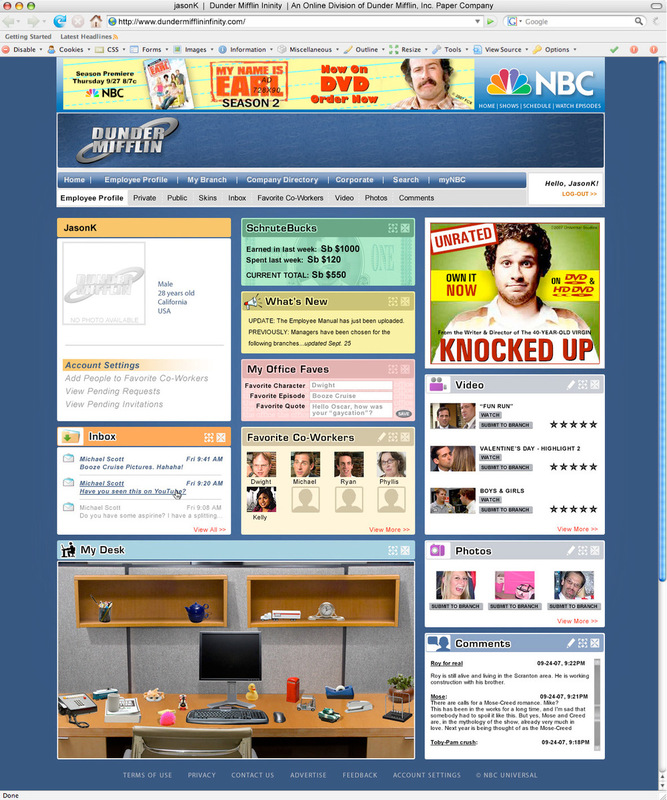 Dunder Mifflin Infinity was a gamified social network spun off from the hit NBC series, "The Office" - the very first of its kind in the digital/TV space. Launched to coincide with an episode of the same name, Dunder Mifflin Infinity (or DMI, as it was commonly known) let fans of the show join a virtual "branch" of Dunder Mifflin, and complete weekly challenges and games in order to earn SchruteBucks - the game's currency. With SchruteBucks, DMI "employees" could buy items to decorate their virtual cubicle or office, get promoted, and help their branch move up the leaderboard. At the end of each season, the top branches and employees earned real-world prizes, including signed memorabilia and official show merchandise. A real-world DMI popup was held at the 2007 Office Convention in Scranton, Pennsylvania where branches competed in The Office Olympics and the cast of the show acted as judges. DMI ran for three seasons, before shutting down in 2010. Promo spot that aired on NBC after the "Dunder Mifflin Infinity" episode in order to introduce DMI to the show's fans. 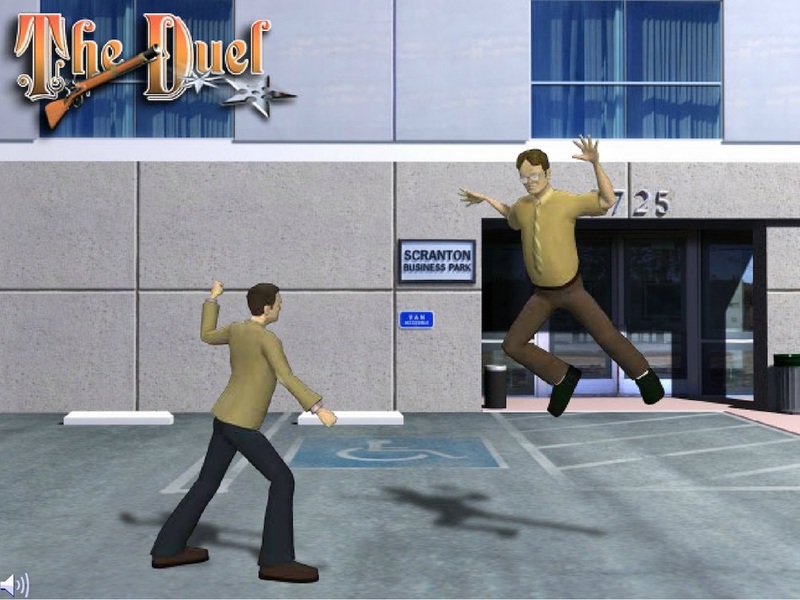 To learn more about DMI and the innovation it brought to the digital television space, read Dunder Mifflin Infinity: A Case Study in Using Game Mechanics to Drive Community Behavior.